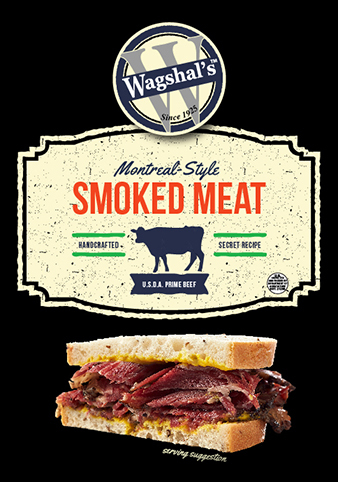 Resembling a cross between corned beef and pastrami, Wagshal’s USDA Prime Montreal-Style Smoked Brisket is a true labor of love taking approximately two months to prepare. This luxurious tasting meat has captured the attention of foodies and media from its home town of Washington, DC and won many accolades and awards for its unparalleled flavor. This prized brisket is the most decadent tasting you will ever experience. As demonstrated by demand, Wagshal's USDA Prime Montreal-Style Smoked Beef Brisket sells itself.